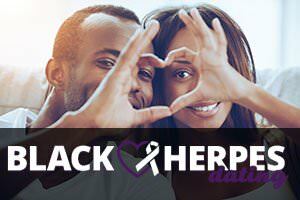 It is estimated that about 50 million people in the United States have genital herpes. Out of this, 42 million don’t know they are infected. Herpes is by far the most widespread sexually transmitted disease in the country and for some reason, people still perceive it as something to be ashamed of. The strangest thing, when you think of it, is that a high percentage of those who see it as something shameful could have it themselves, without knowing it. We are talking pure numbers here. Everyone knows that people who have herpes are stigmatized. This was covered in the New York Times a few years ago and the worst thing is that nothing has changed since then. In fact, herpes has continued to spread and people still have to deal with prejudice. It is actually due to this prejudice that herpes is allowed to spread. People are too ashamed to learn about the virus, let alone get tested. Until they notice the symptoms (which often do not appear at all), the vast majority of people do not even consider getting tested for herpes. This has allowed the condition to spread in secrecy, infecting a staggering number of Americans. This is why herpes dating websites are a positive influence. There, people are free to talk about the disease, how they are dealing with it and what they can do to protect their potential partners. It is an environment where everyone feels safe to discuss the condition and share their experiences. The mere fact that these websites exist is often reason enough for some people to do some research on the subject. If one of those people gets tested, then it made a difference. Fortunately, we are definitely talking about far more people than just one. In addition to this, these websites are a great outlet for people who have grown tired of being discriminated against on account of their condition. It allows these people to feel healthy once again, which can have a positive effect on their lives. It helps them be more open about their condition in other areas of their life, which further contributes to the raising of awareness and the ongoing battle against the condition. Moreover, we are seeing an increasing number of people who are not infected joining these websites. These people usually come for one of two reasons. For one, they are interested in learning more about the condition and these websites are the perfect place to do so. The other reason is that they would have no problem dating people who have the virus. They are not afraid to date someone with herpes because they are knowledgeable enough to understand that this should not stop them from finding love. All in all, herpes dating websites are not just a place where people with herpes come to have fun without the fear of anyone judging them. These sites also play a very important role in educating people about this widespread medical issue.